Demonstrates how research translates into practice. Reflecting the way scientists conduct research on children’s development, Children and Their Development is organized topically, showing readers the way researchers actually study the discipline. The book’s unique and effective pedagogy focuses on practice through its accessible writing, modular format, and application-based features. 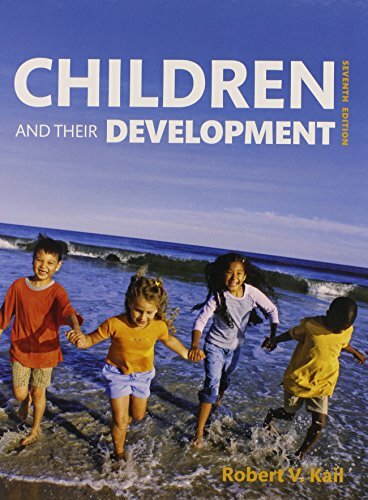 It explores the theory, research, and application of modern child development from conception through adolescence. Author Robert V. Kail is a well-known and respected research in the field of child development. Children and Their Development can be sold as a standalone, or packaged with Pearson’s latest technologies: MyPsychLab. MyPsychLab is an integral part of the Kail program. Engaging activities and assessment provide a teaching and learning system that help students become scientific thinkers. With MyPsychLab, students can watch videos on psychological research and participate in virtual classic experiments. Personalized Learning with MyPsychLab: MyPsychLab delivers proven results in helping students succeed, provides engaging experiences that personalize learning, and comes from a trusted partner with educational expertise and a deep commitment to helping students and instructors achieve their goals. Engaging Pedagogically-Driven Design: An effective pedagogy promotes students’ learning. For examples, Learning Objectives in each chapter correspond to chapter summary materials. Explore Research and Theory: Fundamental developmental issues are used as a foundation for students’ learning of research and theory in child development. Student learn how developmental science draws on many complementary research methods, each of which contributes uniquely to scientific progress. Understand Culture and Development: Students are shown how the findings from child-development research can improve children’s lives.